The perfect tasty treat for a sporty dad. This is a simple no-bake recipe that young children will love to help make! 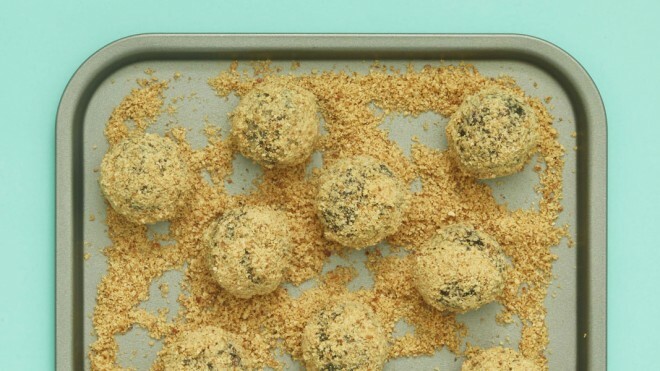 In a food processor, blend the hazelnuts to a powder and pour onto a tray. Blend together all the remaining ingredients and turn out into a bowl, work together with your hands to form an even mix. Children can now help by rolling the mix into balls before rolling to coat them in the hazelnut powder. Line a gift box with grease proof paper, pop the powerballs in then tie it up with a bow!